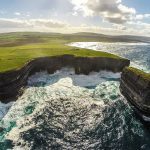 While North Mayo’s spectacular coastline is a thing of major beauty, the areas off the Wild Atlantic Way are just as stunning. Nephin’s Haven, encompassing the small and welcoming communities of Moygownagh, Keenagh, Eskeragh, Lahardane, Kilfian, Ardagh & Crossmolina itself is an area blessed with stunning mountain ranges, wild, desolate bogland, rivers and lakes rich in angling bounty, historical ruins and most of all, a welcome so warm, you’ll want to keep returning. 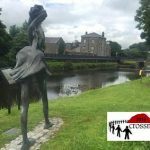 MayoNorth.ie has worked with the Crossmolina Tourism Group and Mayo.ie to compile the following list of twelve things to do in Crossmolina and surrounding areas, based on the best of local knowledge! 1. One of the greatest things to do in Crossmolina – absorb the breath-taking vista from Nephin Mór! 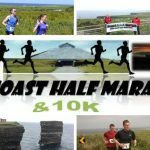 The ultimate way to truly see North Mayo! Be captivated by the peace and freshness of nature as you climb Nephin Mór, Connacht’s most majestic mountain. Soothe your soul, clear your mind and enjoy connecting to this the earliest of landscapes. The Nephin Beg Range is also a hikers’ delight with many other climbs of varying difficulty. Getting there: Travel from Crossmolina to Lahardane on the R315. Turn right at the 50km sign. Continue for 4km to the parking spaces on the right. Cross the road and continue towards the forest for an enjoyable, challenging climb. Tel: +353 (0) 96 30935 or email info@crossmolina.ie if you need help. Talk a walk along the Town Trail, River Bank, or one of the four country lane & woodland loop walks. The Gortnor Abbey (White Arrow, 4km) Grange Walk (Blue Arrow, 6km), Deel Castle (Yellow Arrow, 11km), and the Enniscoe House Loop Walk (Purple Arrow 3km), all take you along tranquil farmlands, country lanes and woodlands. Be captivated by spectacular scenery and remote wilderness with panoramic views of heavenly valleys, vegetation, and clear streams along the 11.5km Keenagh Loop Walk. 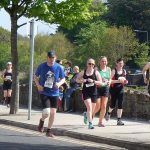 You can also try the Letterkeen Forest Walk, the Drumleen Loop Walk or the 25km Sheskin Walk (Western Way) towards Ballycastle. Look at the stars, see how they shine for you at Letterkeen Bothy in the Wild Nephin Wilderness Area in Wild Nephin Ballycroy National Park, host to the most exceptional of dark skies and stunning nightscapes. It has been designated as a viewing site for astronomers following the Ballycroy National Park’s ‘Gold Tier International Dark Sky Park’ award. Hire a boat and picnic on one of the many lake islands or have fun on jet skis. Children can paddle contentedly at the pier, an ideal spot for photography with a serviced toilet facility and two caravan parking bays. Marvel at the preservation of the 7th century Errew Abbey on the banks of the lake. Anglers of all abilities can trawl over Lough Conn which is well-known for its brown trout, sea trout and salmon fishing. Annual competitions attract national and international anglers. Hire a gillie via Cloonamoyne Fisheries. 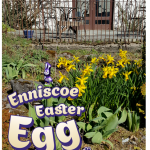 Enniscoe House is one of Crossmolina’s greatest surprises. The old Georgian house has been in the same family since the 1790s, and is a busy, functioning guesthouse and restaurant with a unique flower garden and organic vegetable garden. The Mayo North Heritage Centre is based in the grounds alongside a well-equipped museum of local artefacts. Why not relax with a cuppa in its pretty café, or savour a variety of organic produce? Due to the amazing efforts of the local community, Lahardane is rewarded with a permanent monument to 14 locals who sailed on the ill-fated Titanic in 1912. 11 perished. A stop-off to read their incredible story in Addergoole Titanic Village is a must. Give yourself time to visit the church where two stained-glass windows are dedicated to the memory of the lost, and see the churchyard bell that tolls every April 15th between 2am and 3am. Enjoy a delicious, hearty meal in Hiney’s Bar & Restaurant or in O’Malley’s Bar & Grill, washed down with a local craft beer. Grab a light lunch or some divine cakes in the Tea Rooms or River Cafe or something more exotic from the tasty Dragon Palace. Stop by the deli counters in Munnelly’s, Hiney’s or Mulherin’s for a picnic to go. You can sample our local craft beers produced right in the town by the Reel Deel Brewing Company in a variety of pubs whilst listening to local artists, or trying your luck at cards or darts. Visit the Nephin Whiskey Company at the foot of Nephin Mountain on the shores of Lough Conn in Lahardane village, 8km from Crossmolina. Meet the Nephin team who will be delighted to show you their distillery plans and guide you around the village to see the barley and the turf. Football of all sorts abounds in Crossmolina. Witness the passion and dedication long associated with our native sport, Gaelic Football. 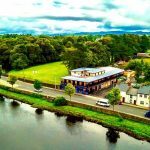 A competitive GAA game in the home of Crossmolina Deel Rovers on the Ballina Road is one of the must-dos on the list of things to do in Crossmolina and can’t be missed! All games are advertised on-site – drop in and check out the local talent and skills. Equally talented are the soccer teams; Crossmolina FC’s ground is located in Abbeytown and you will receive a warm welcome there. Enjoy a live session in Crossmolina’s lively pubs, or take in a fantastic night of cultural entertainment at Atlantic Rhythm Productions, just outside Crossmolina, where a young and energetic group performs a unique mix of all that is loved in our Irish heritage of traditional arts, song, dance, and drama. The River Deel is alive with rare species of freshwater crayfish and pearl mussels. It has amazing biodiversity, plant and bird life and flows – sometimes menacingly—through the town from its source high in Nephin to the shore of Lough Conn. Many groups Kayak or paddle along, discovering the excitement of the alternative view from the water. One of our favourite things to do in Crossmolina is explore the river’s route – along the Deel at the North end of Lough Conn near Ardagh, you will find the striking 16th-century Castle Gore and Deel Castle ruins.